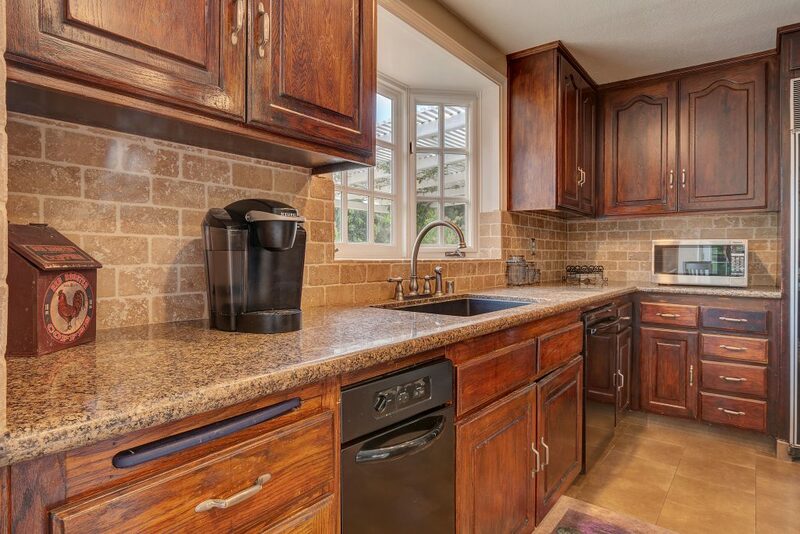 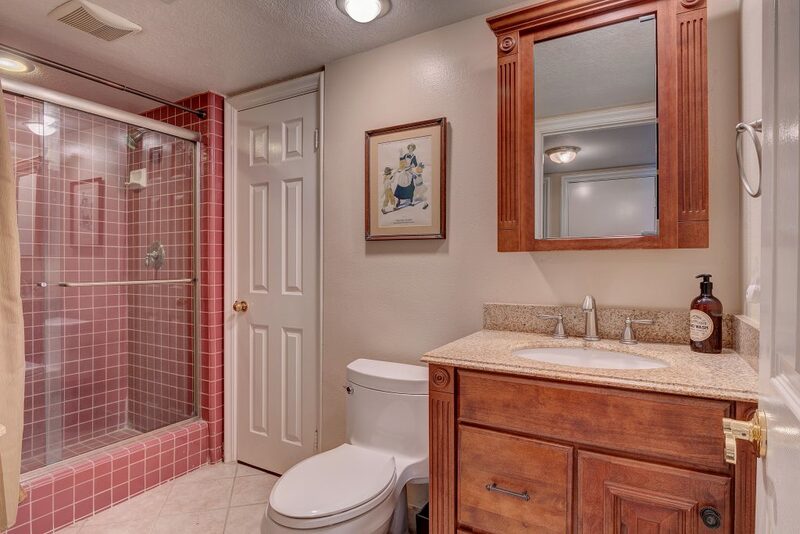 Turnkey Beauty on Large Flat Lot. 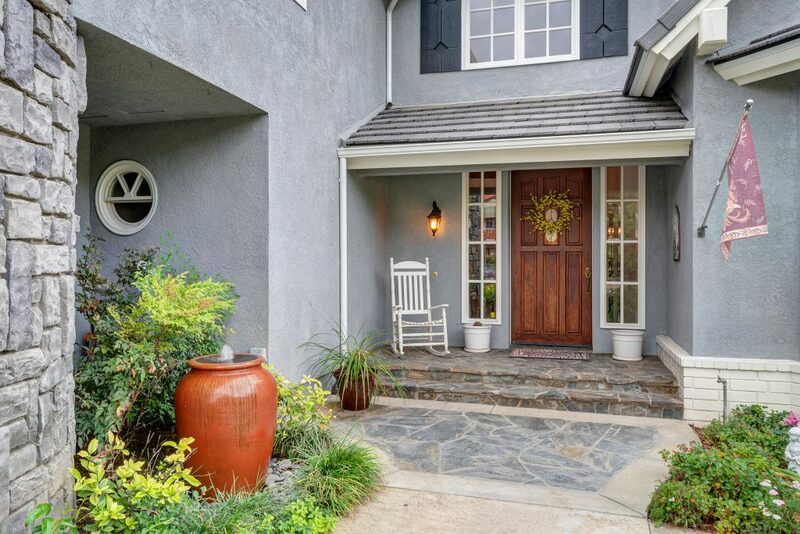 Welcome home to one of La Habra Heights finest neighborhoods. 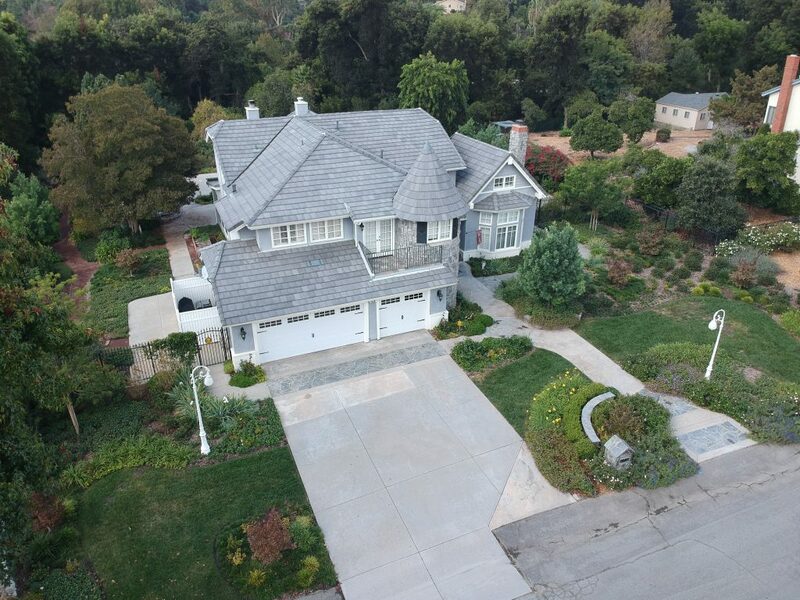 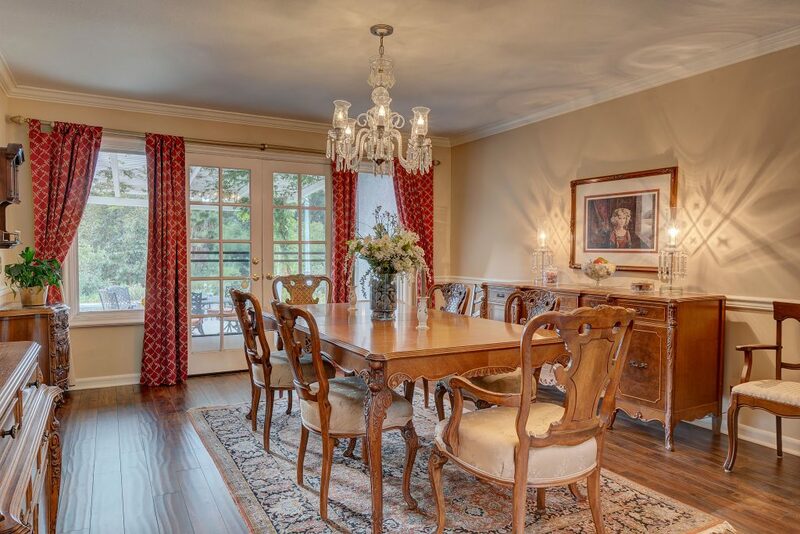 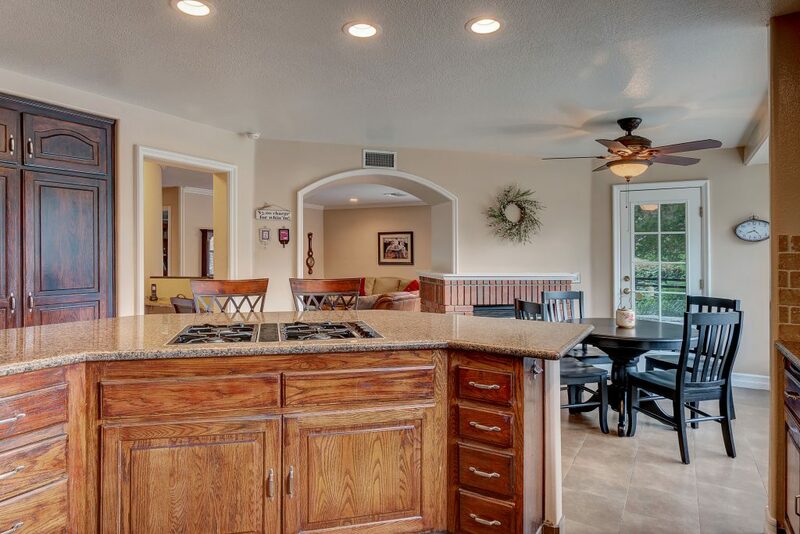 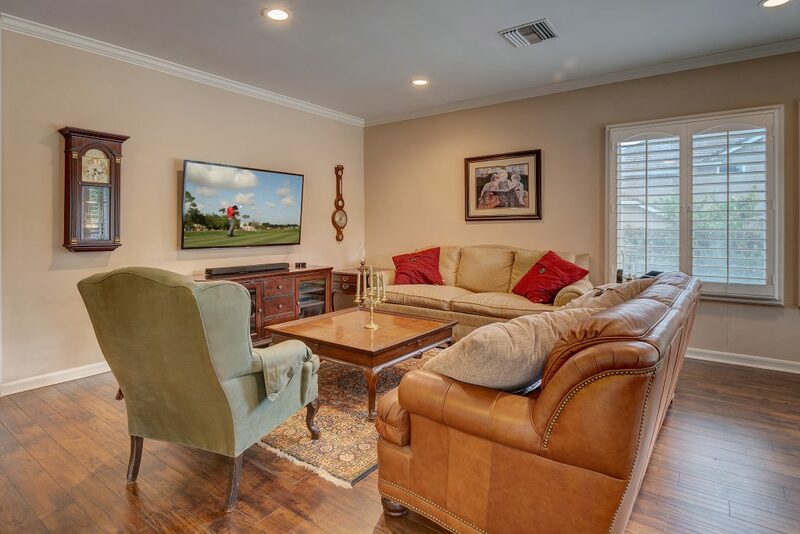 This immaculate & well cared for home offers 5 bedrooms, 4 bathrooms with 4,086 sq feet on large flat acre. 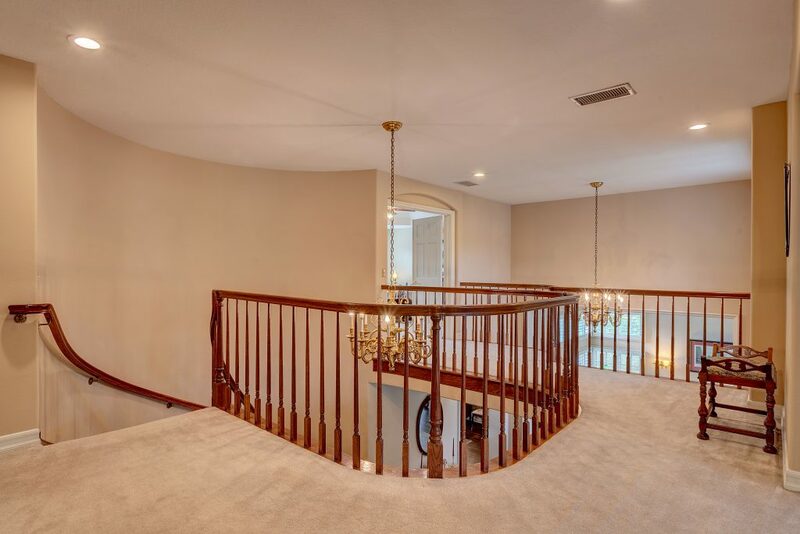 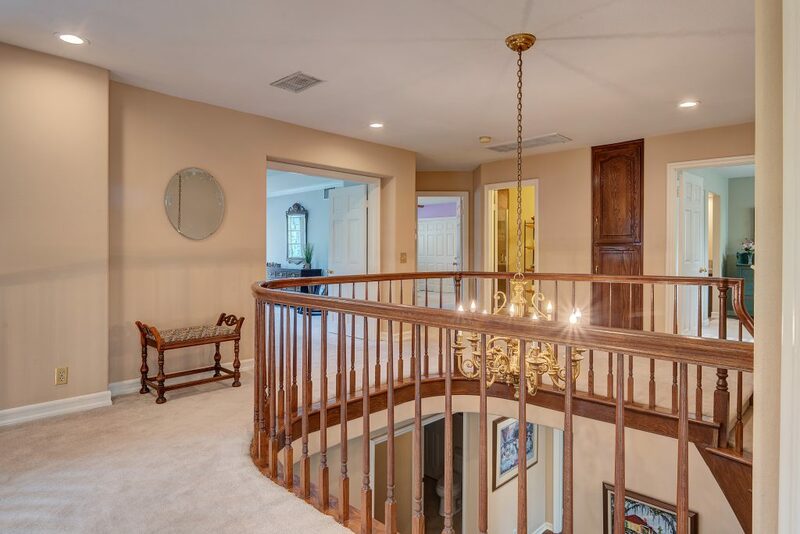 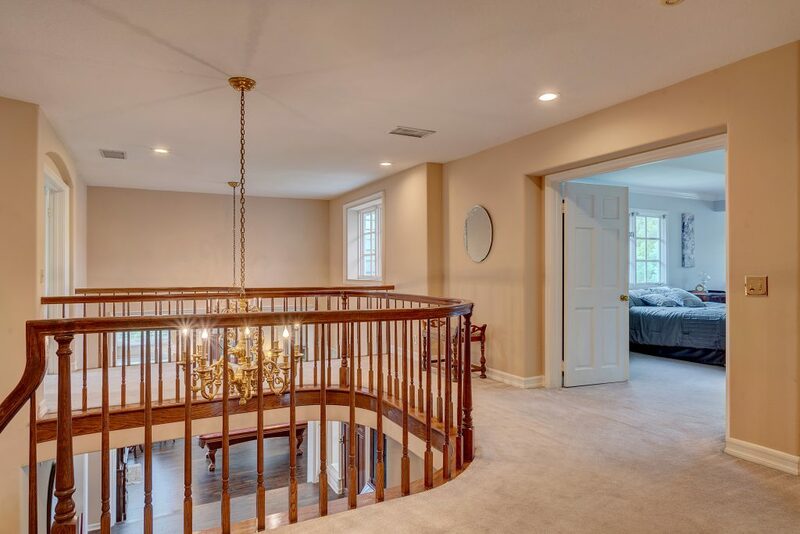 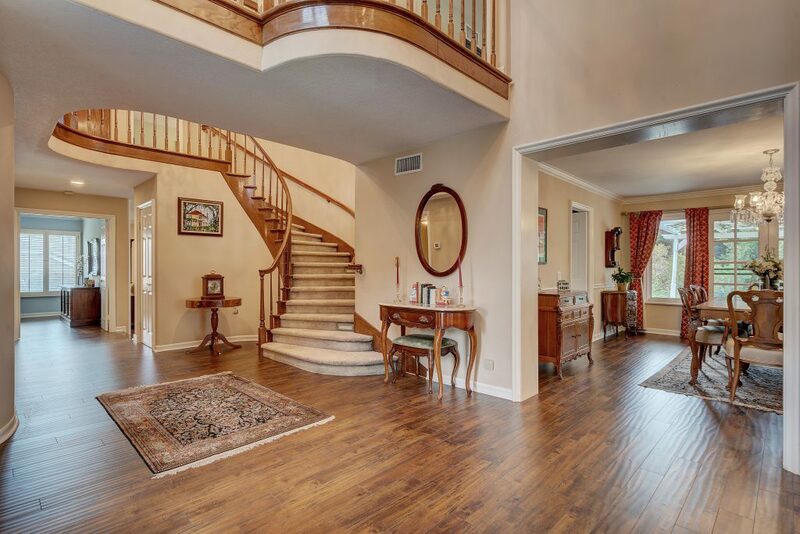 A grand foyer entry with a spiral stair case and step down formal living room greets you as you enter. 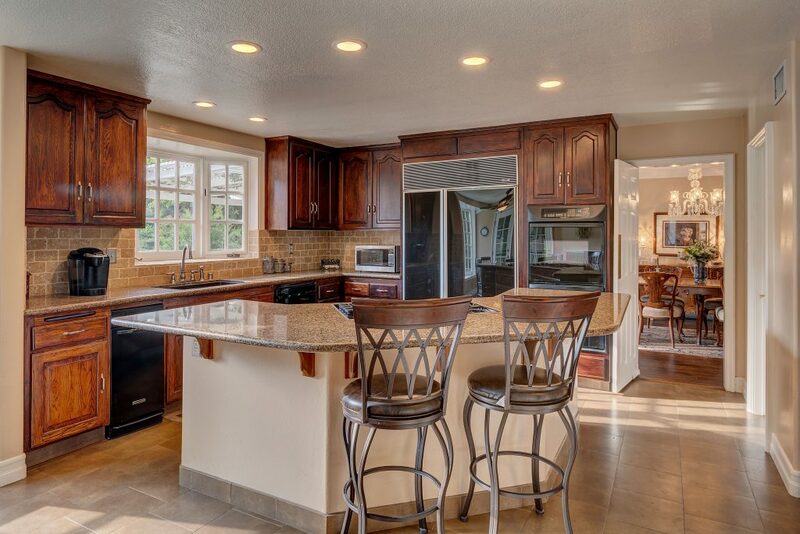 Gourmet kitchen with granite counter top with stylish back splash, large island, subzero refrigerator, dual oven and walk in pantry is a chef’s dream. 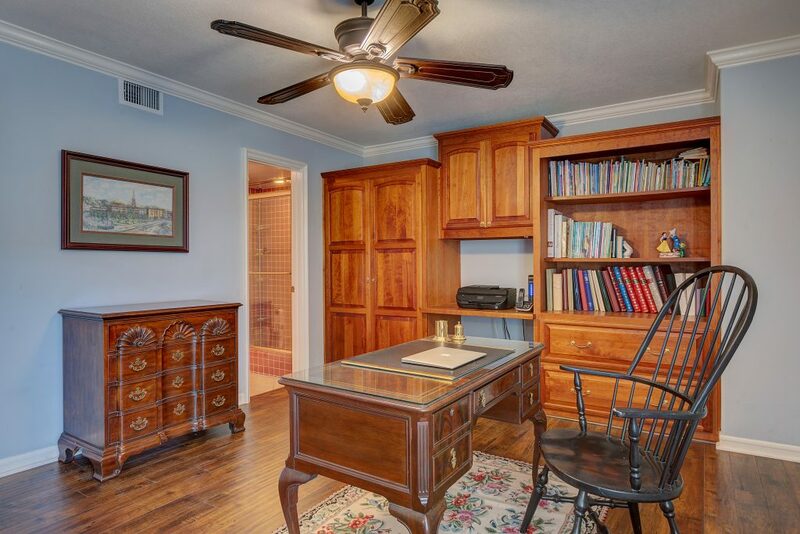 Built in desk and wine rack also could be used as a wet bar. 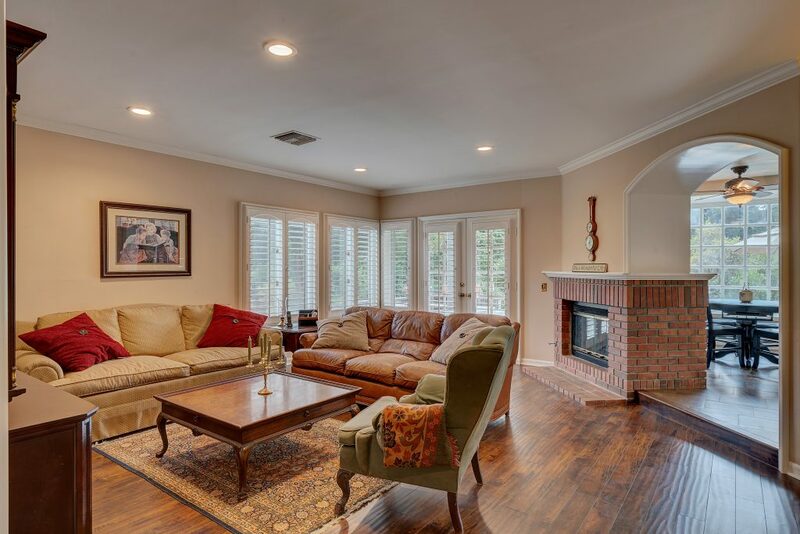 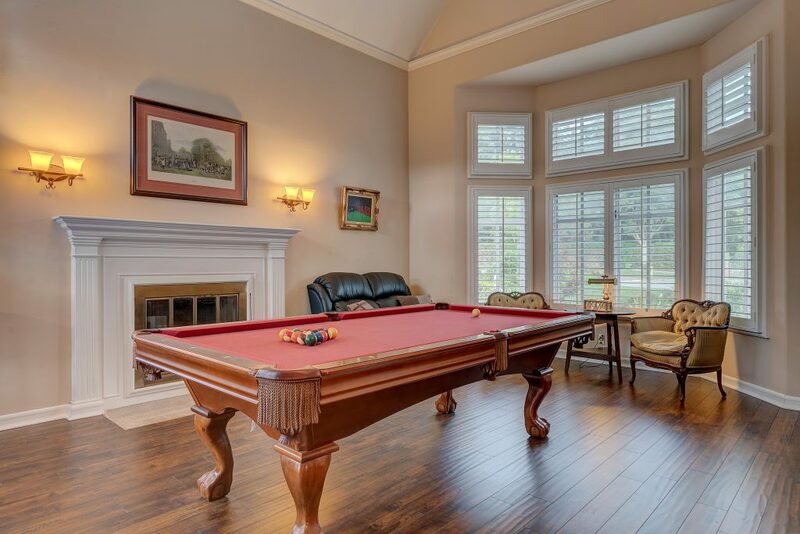 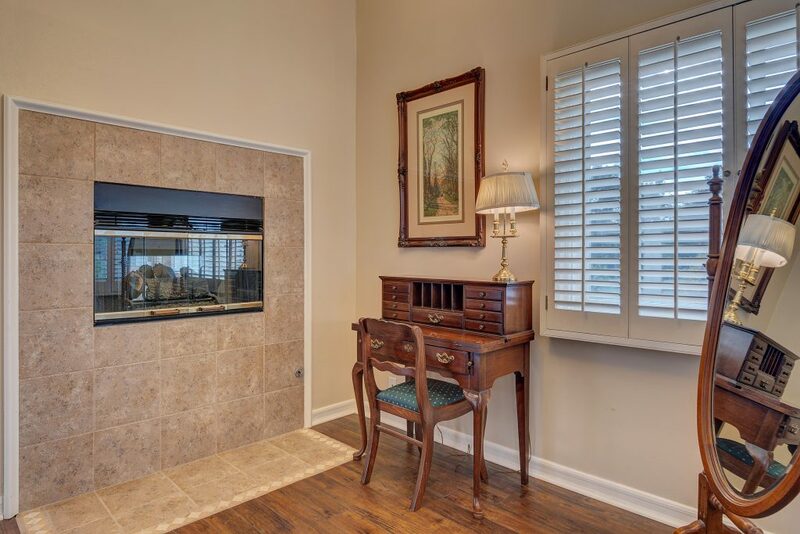 Large family room with double sided fireplace from the kitchen gives these rooms an open concept feel. 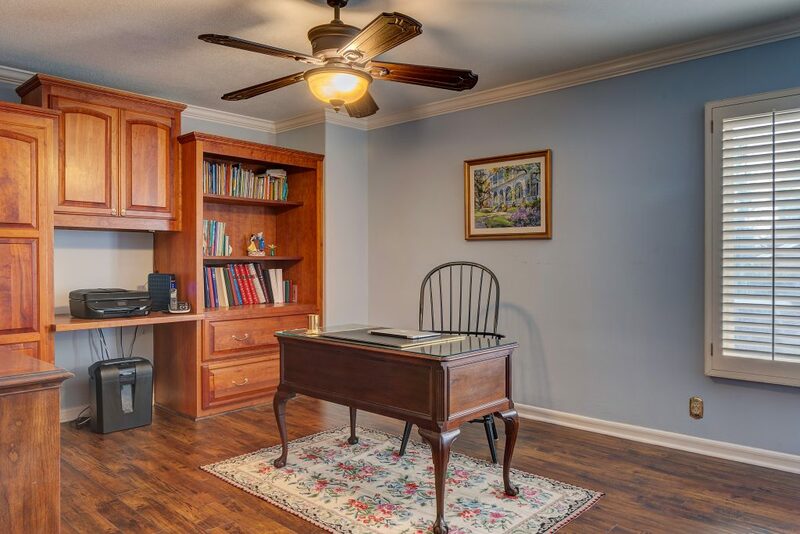 5th bedroom down stairs can be used as an office with built-ins. 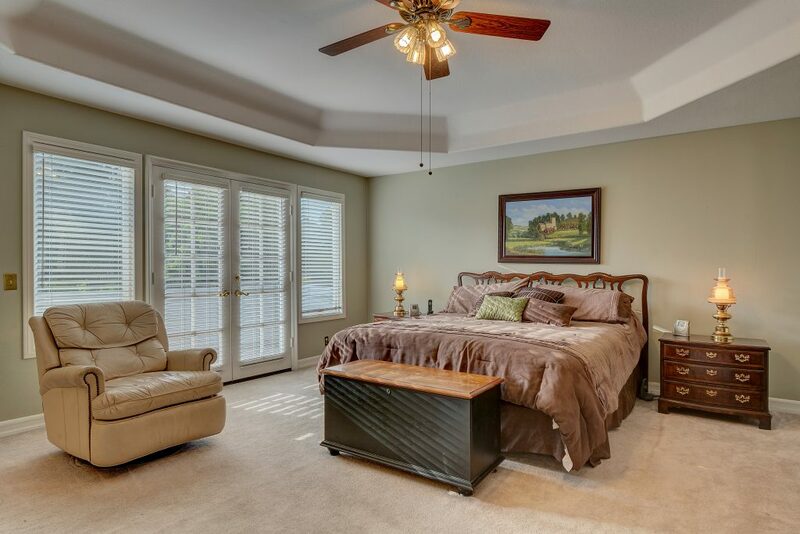 Upstairs master bedroom has private balcony over looking the lush backyard. 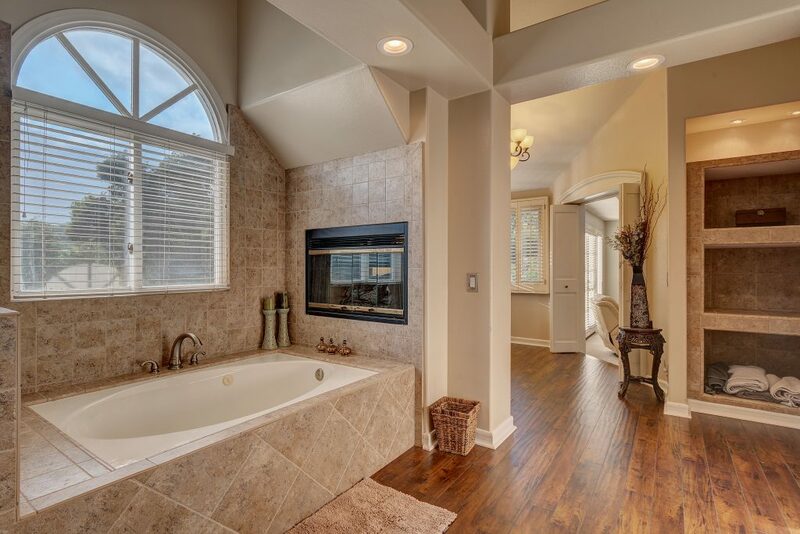 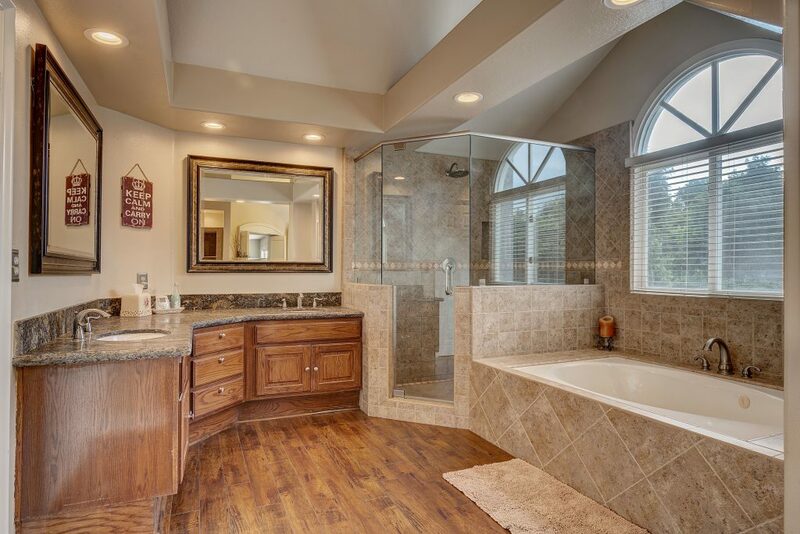 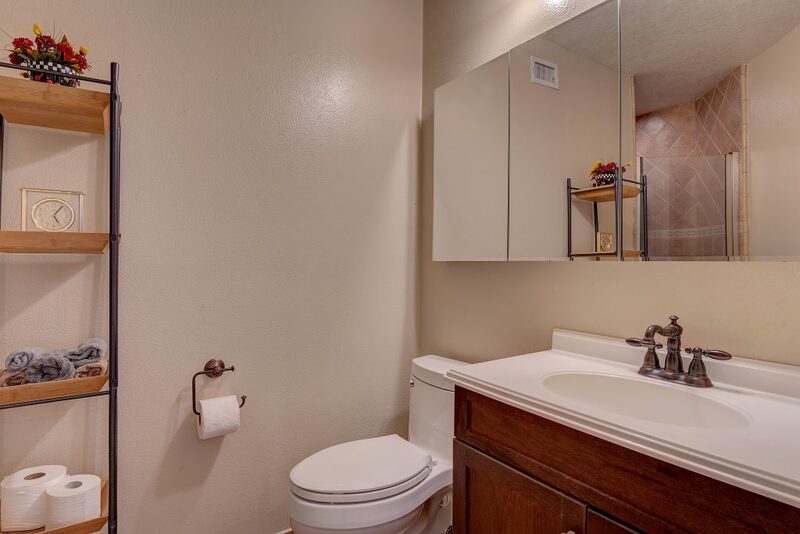 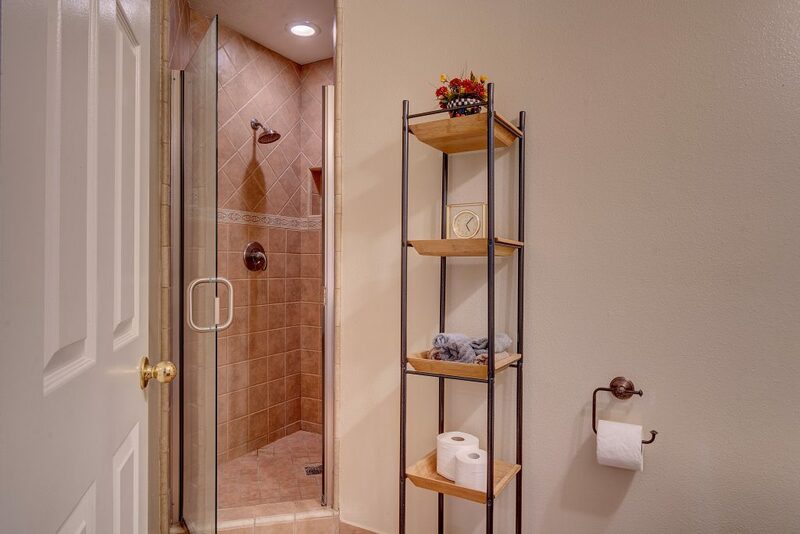 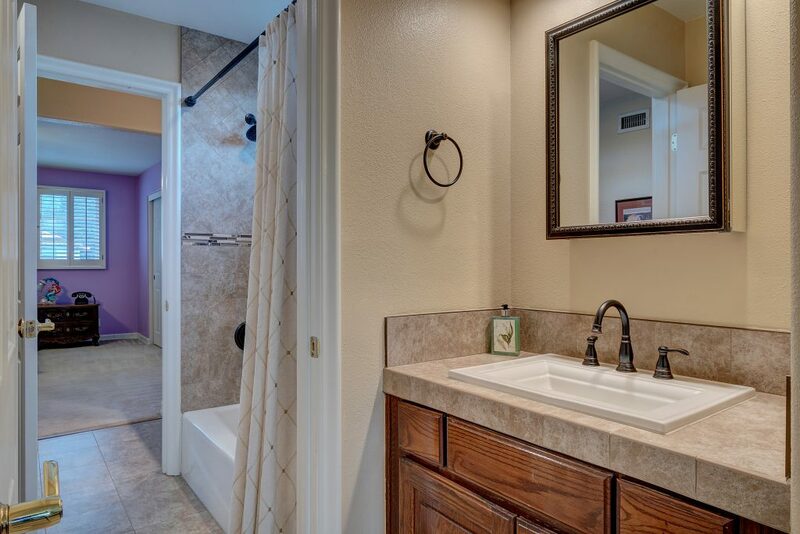 Remodeled master bath with title shower and separate soaking tub. 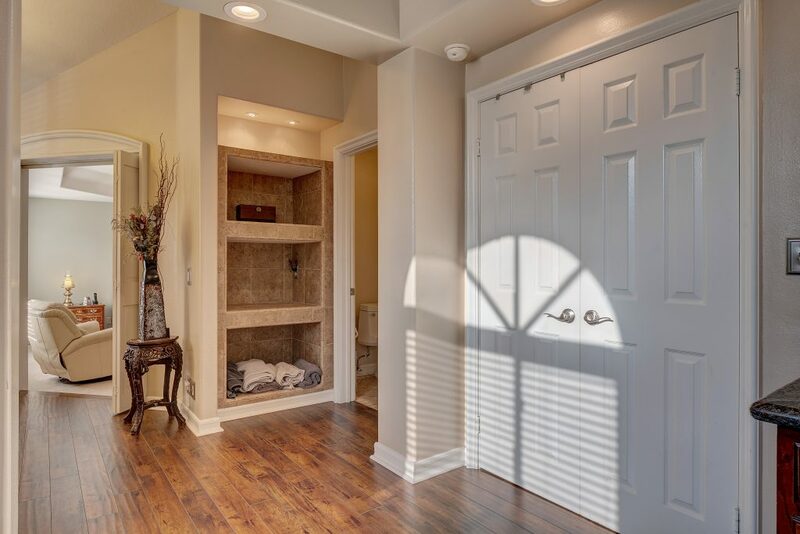 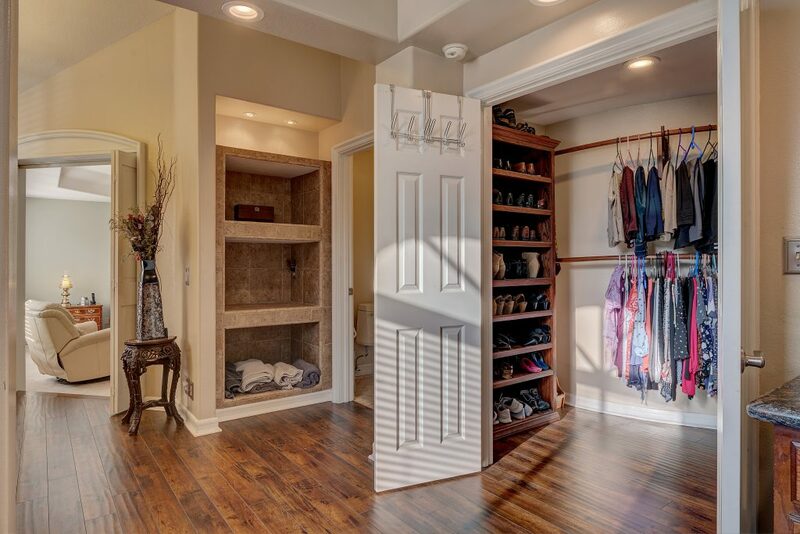 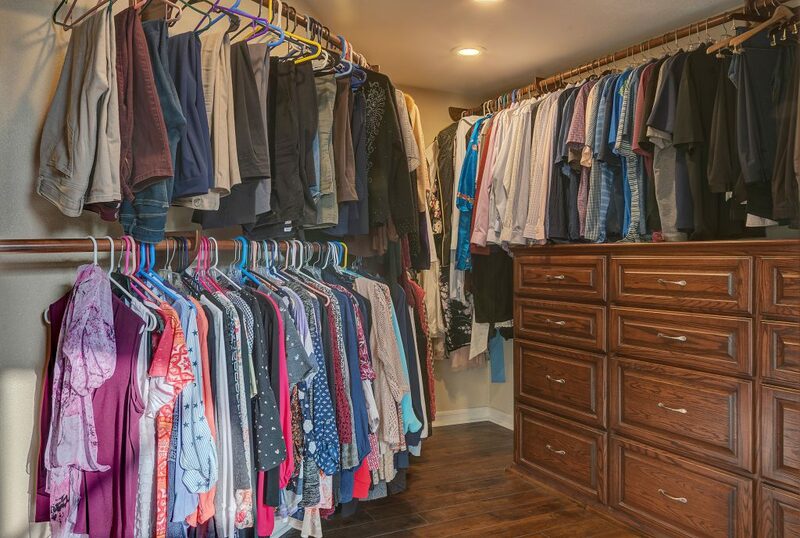 Walk in closet with custom built-ins. 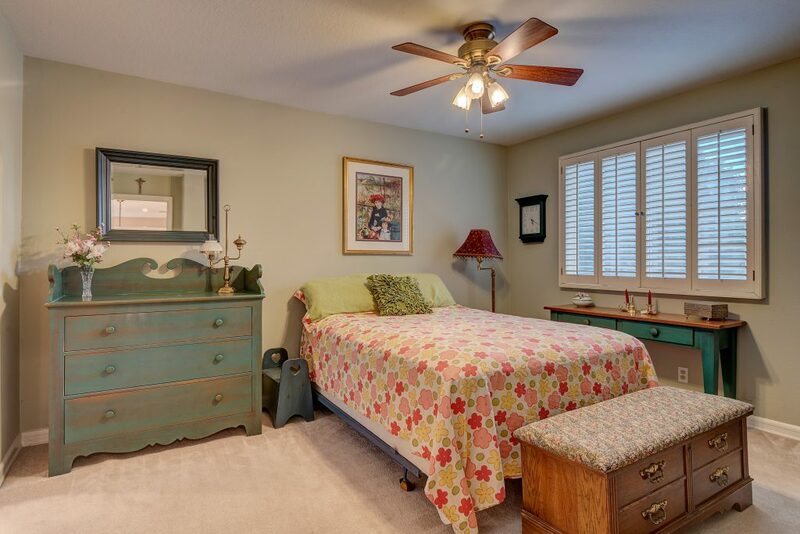 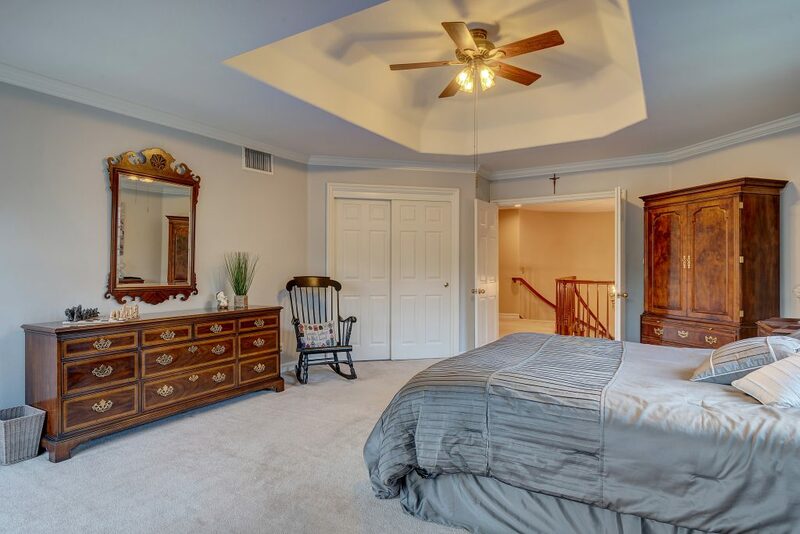 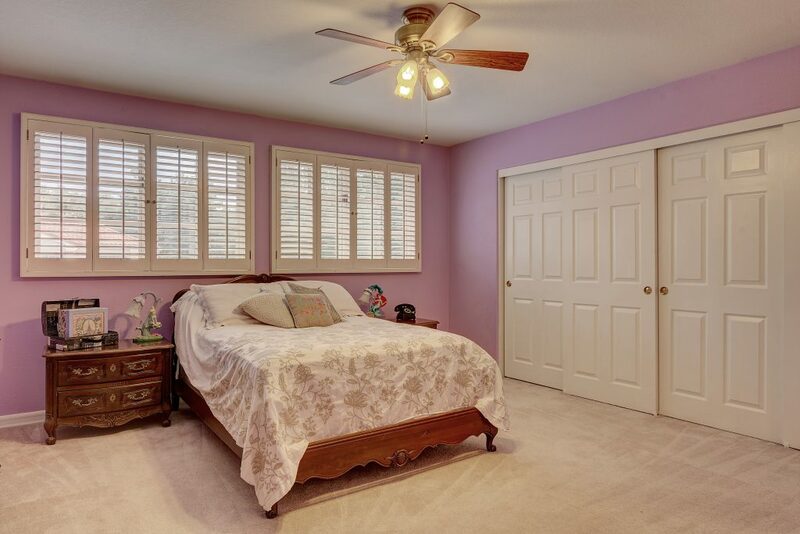 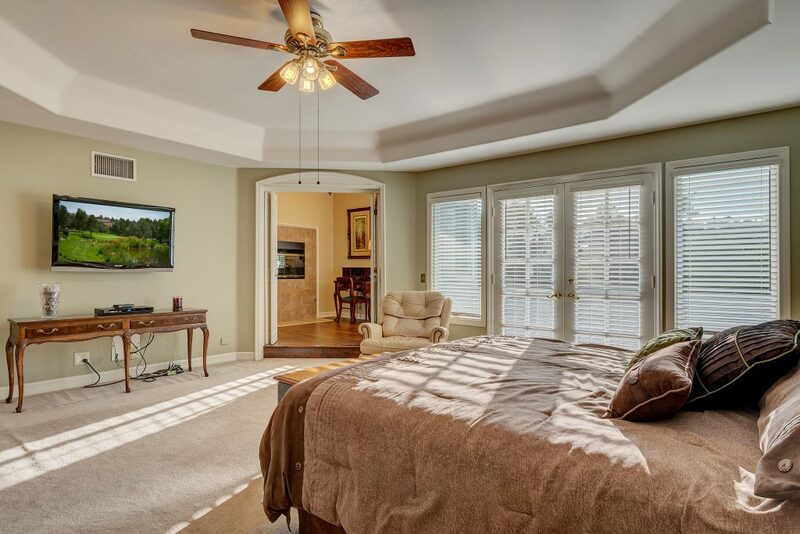 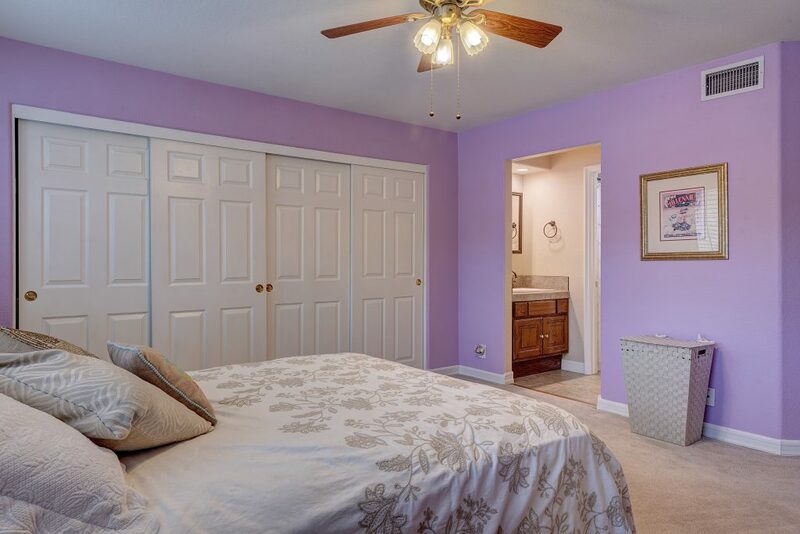 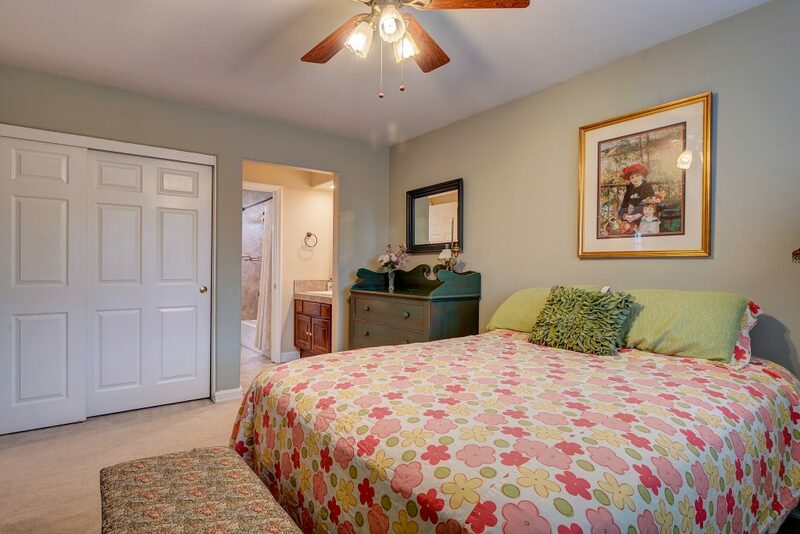 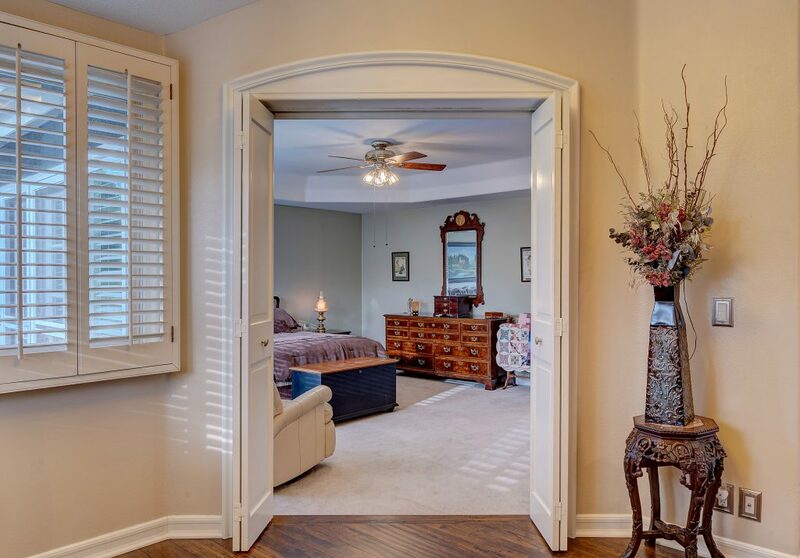 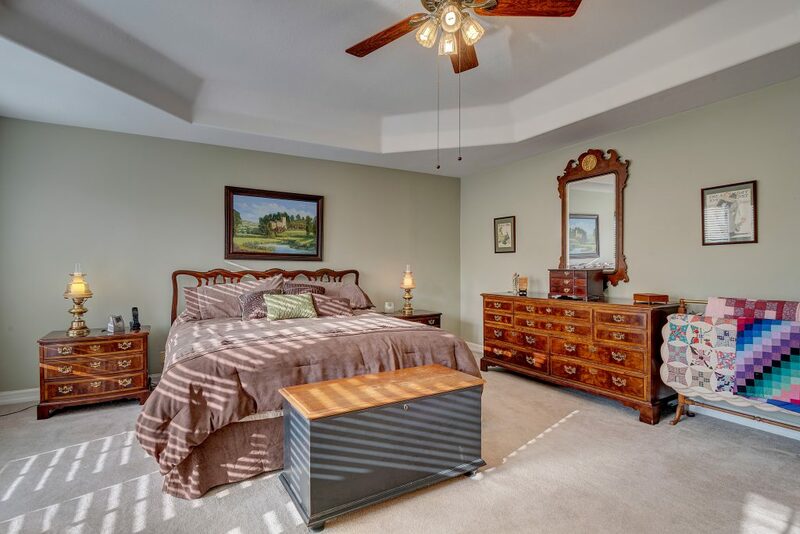 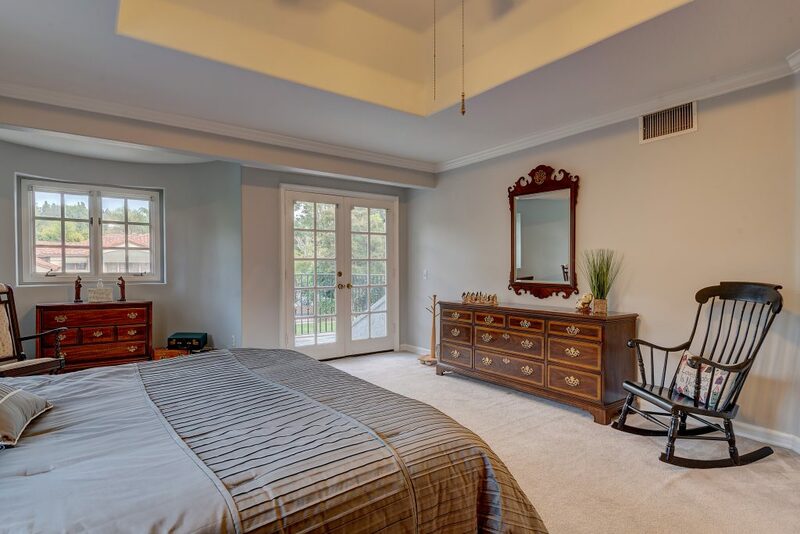 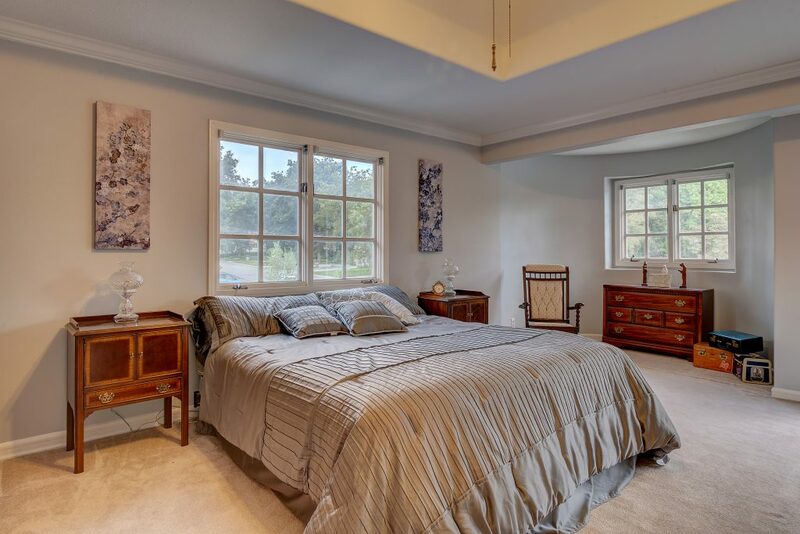 Spacious 4th bedroom can be used a bonus room with a balcony over looking the front yard. 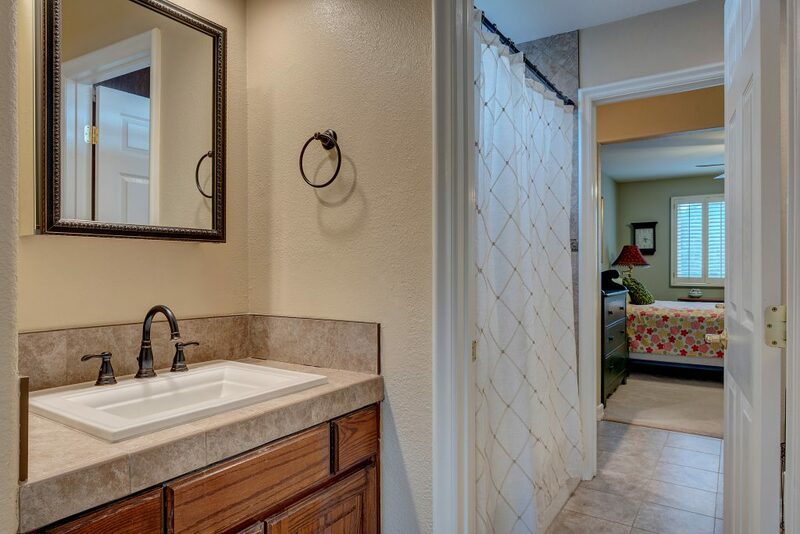 Remodeled jack and jill bathroom connect the other two bedrooms. 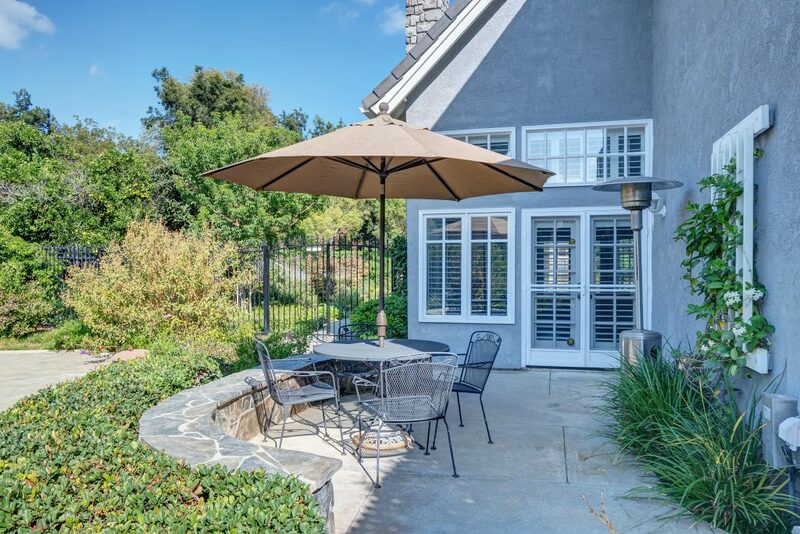 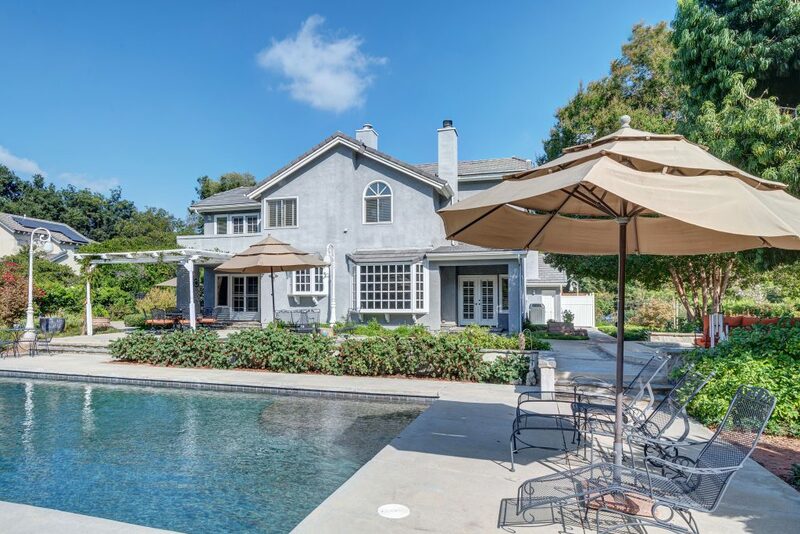 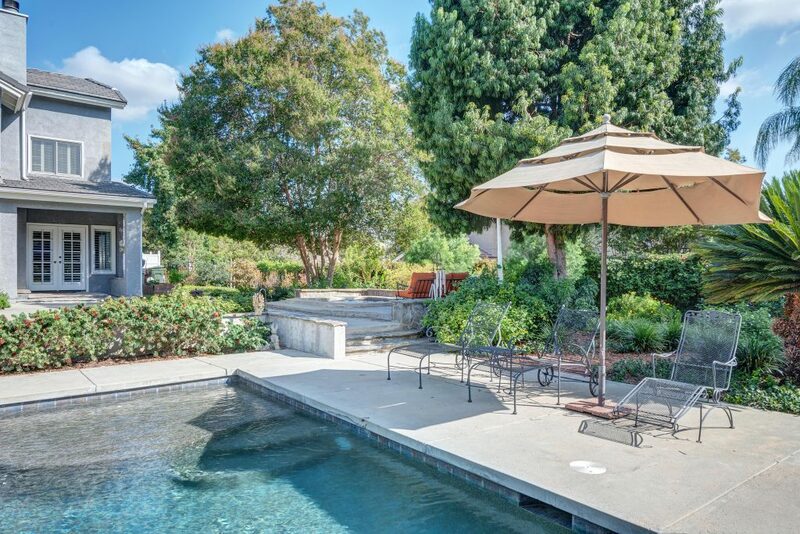 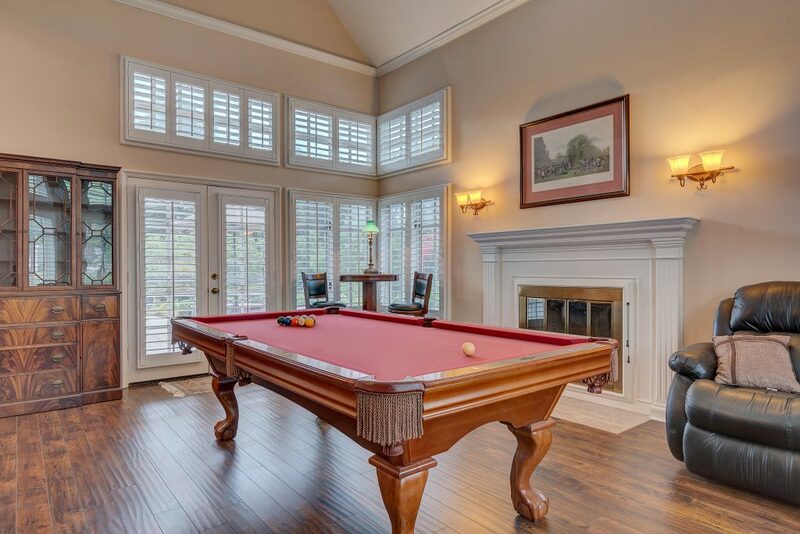 The backyard is perfect for entertaining with a covered patio right off the kitchen, side patio with fire pit and a stunning heated pool and spa. 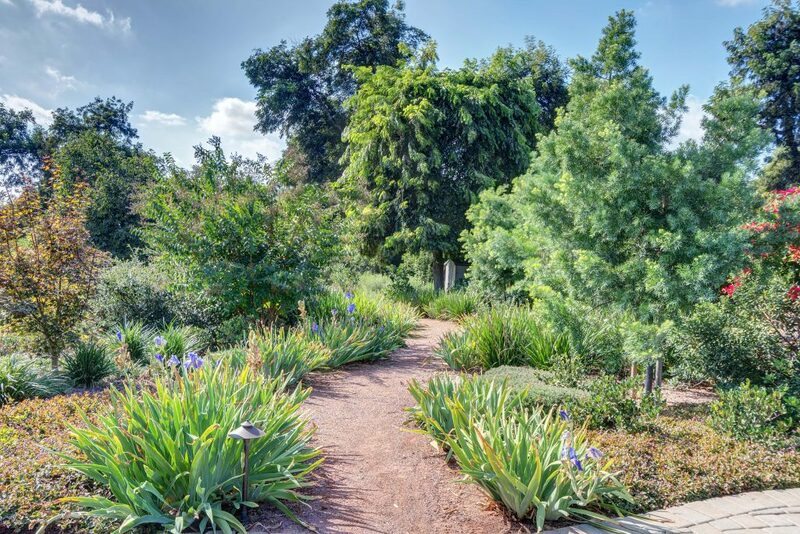 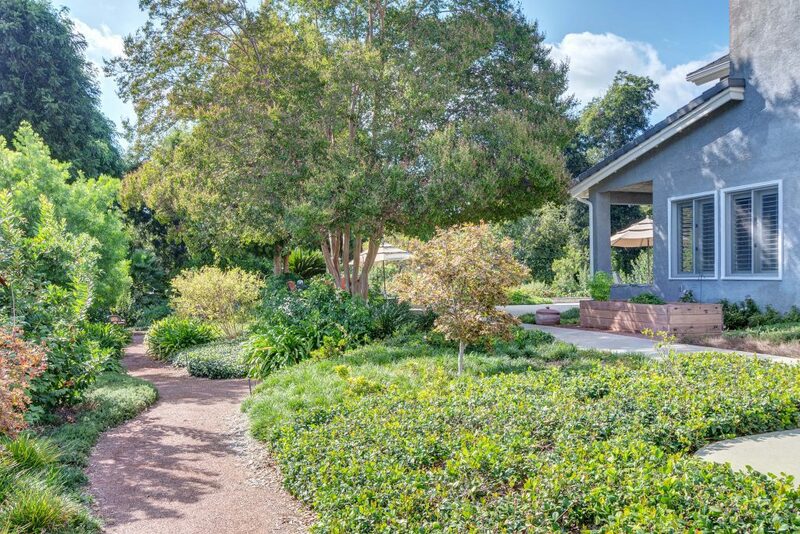 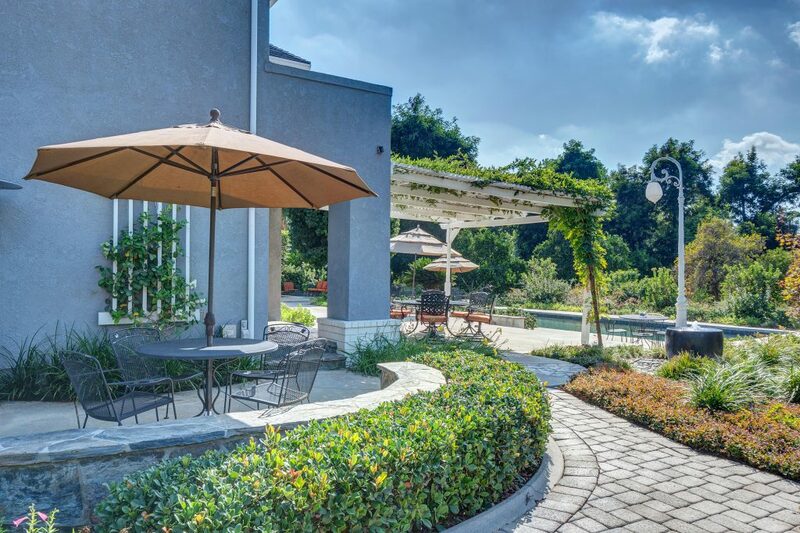 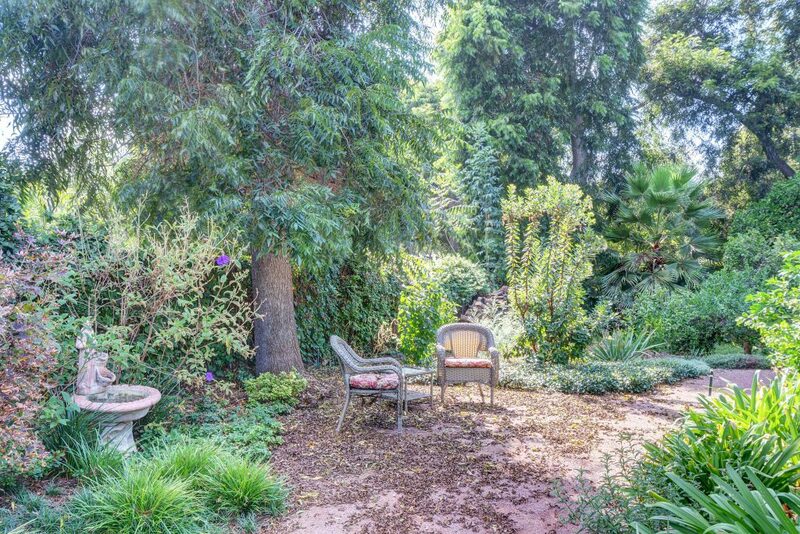 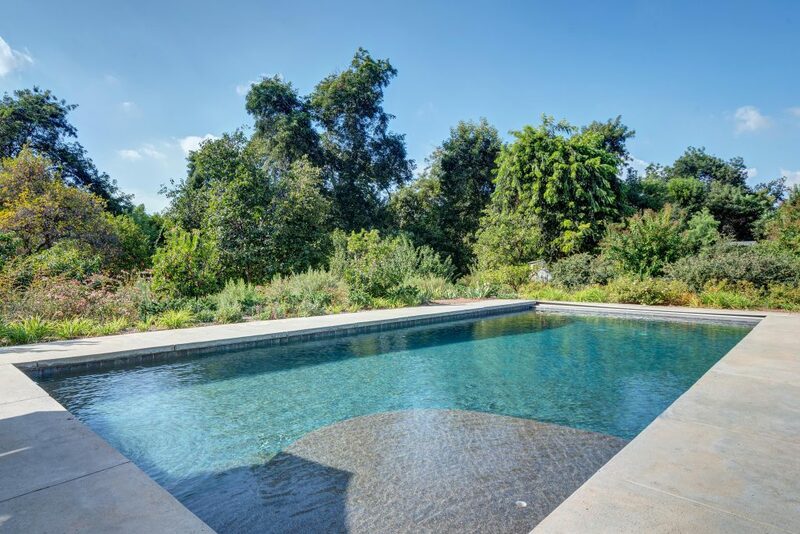 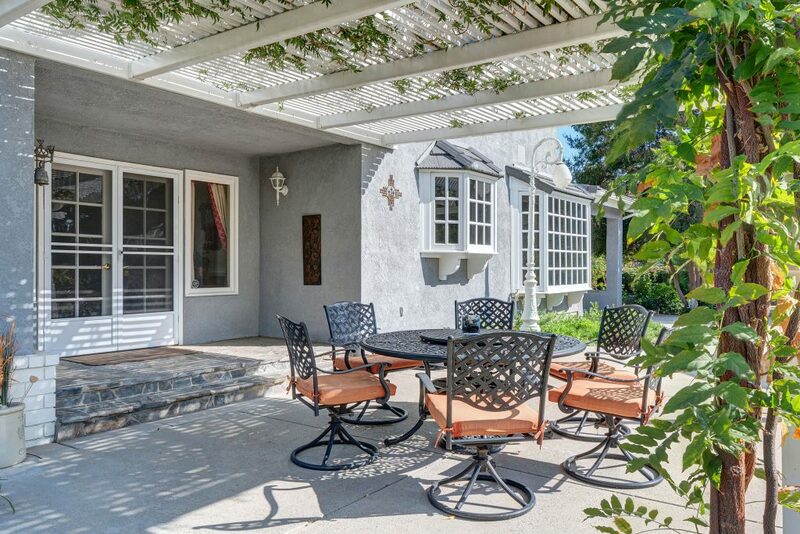 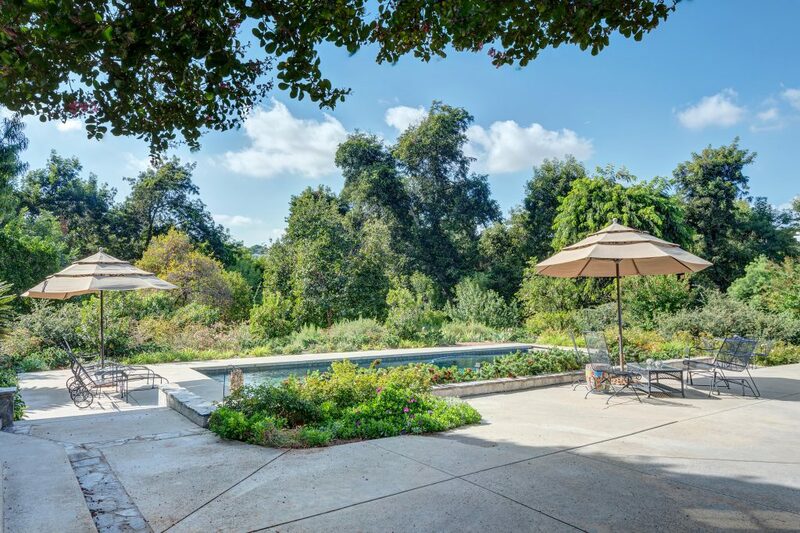 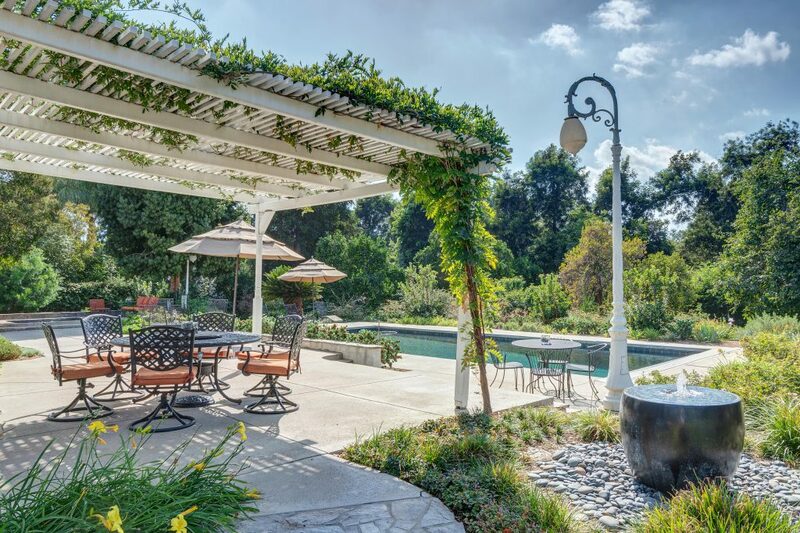 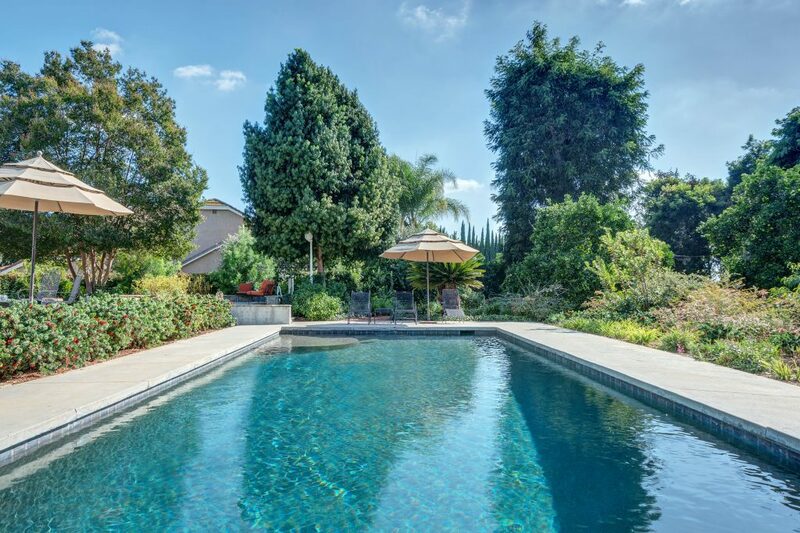 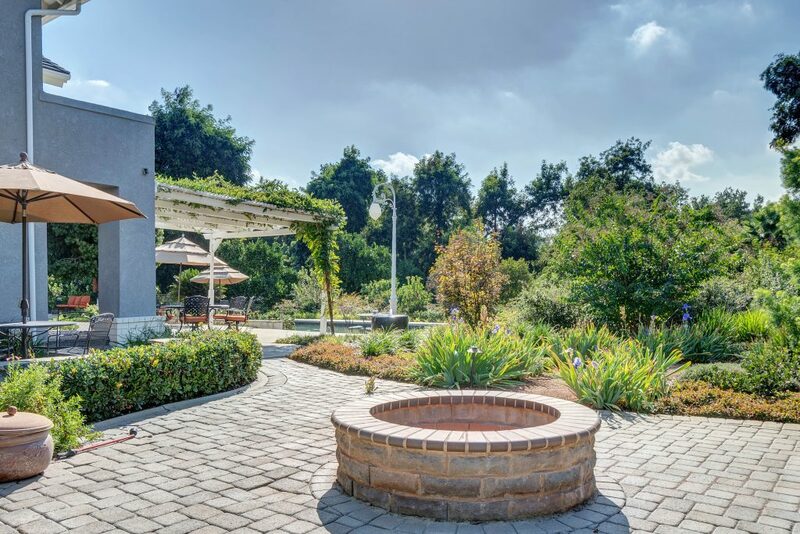 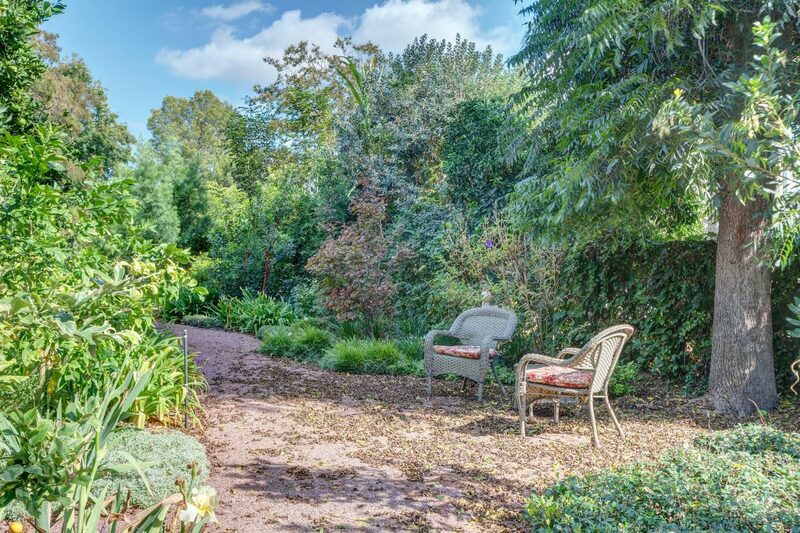 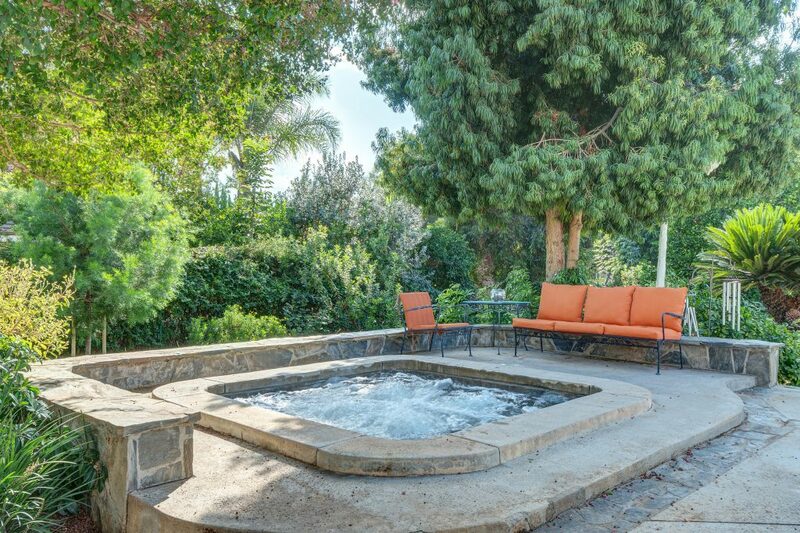 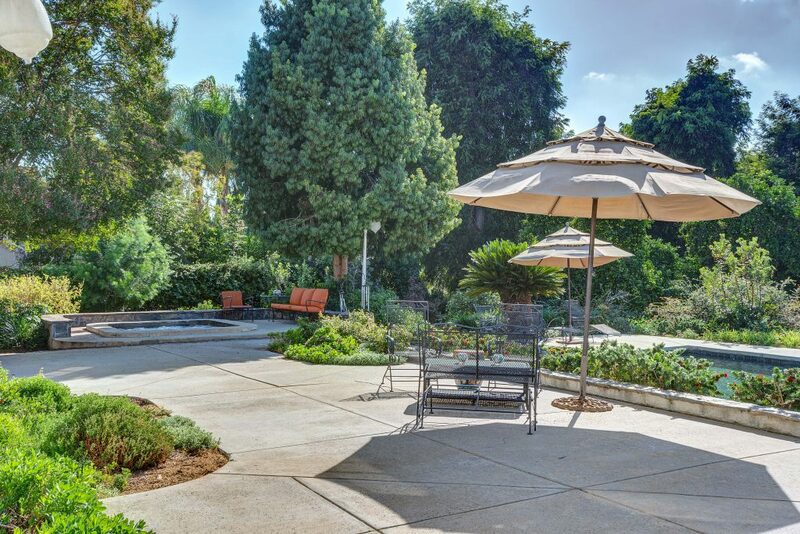 Beautifully landscaped yard with apricot, peach and lime trees, drought resistant plants, water features and paths to walk through give it all a park like feel with a sense of tranquility. 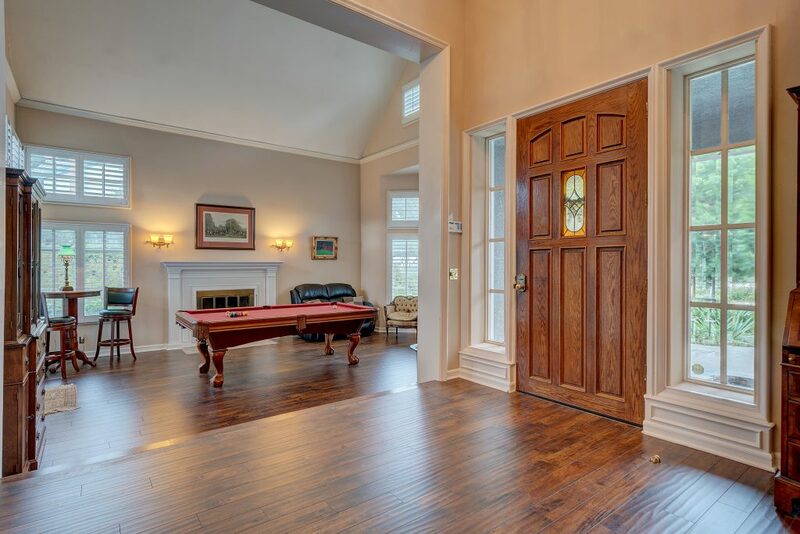 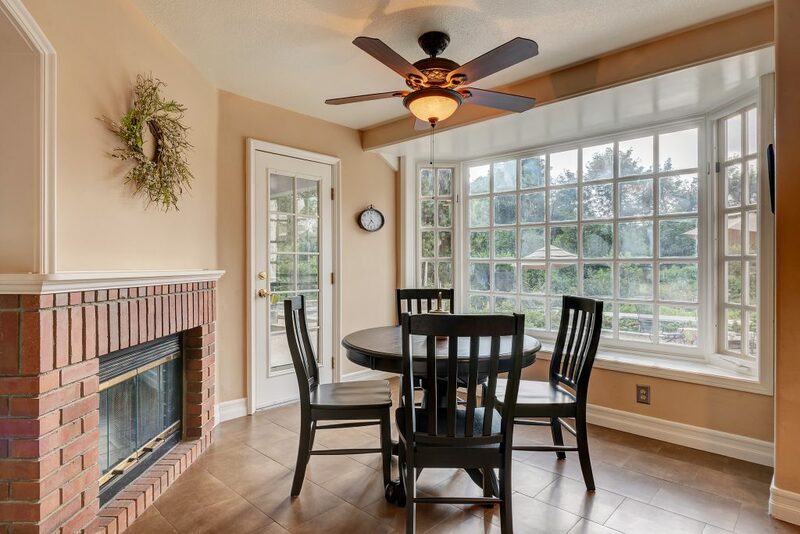 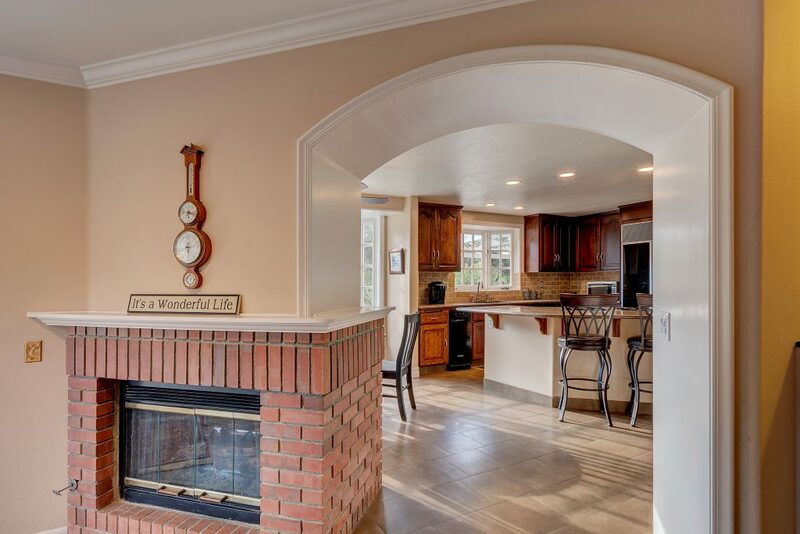 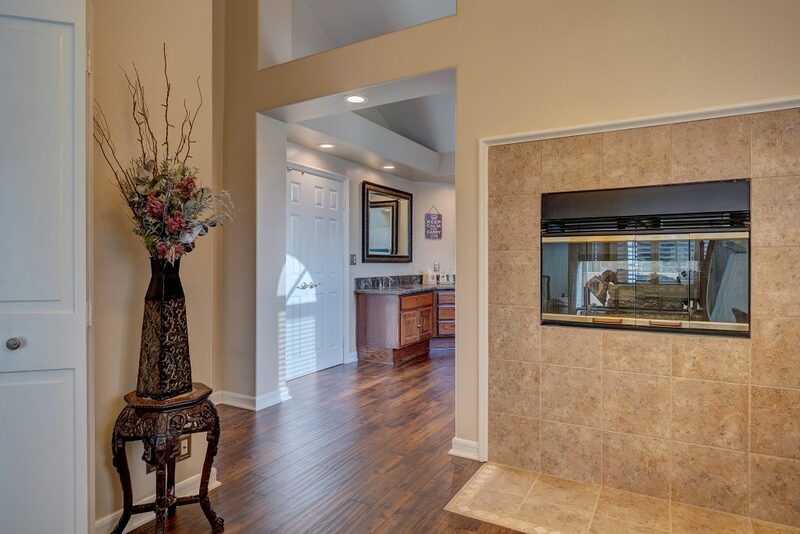 Beautiful new flooring throughout the home and crown molding are just the beginning to what this home offers. 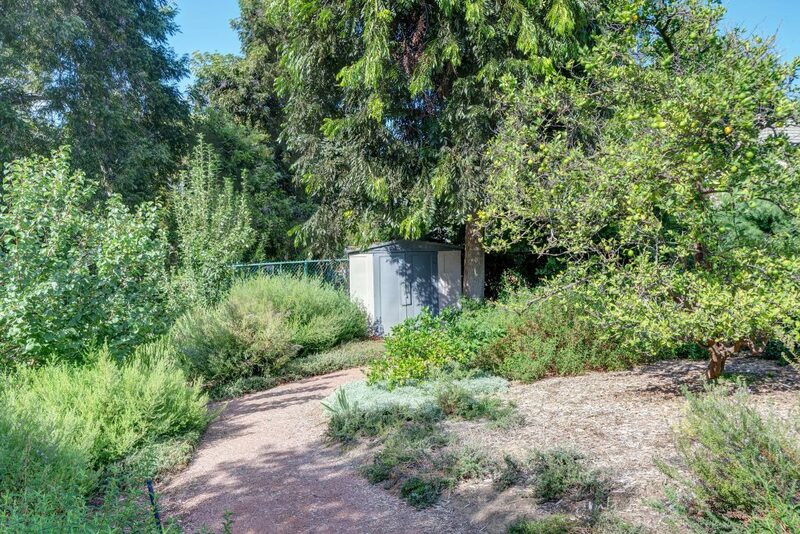 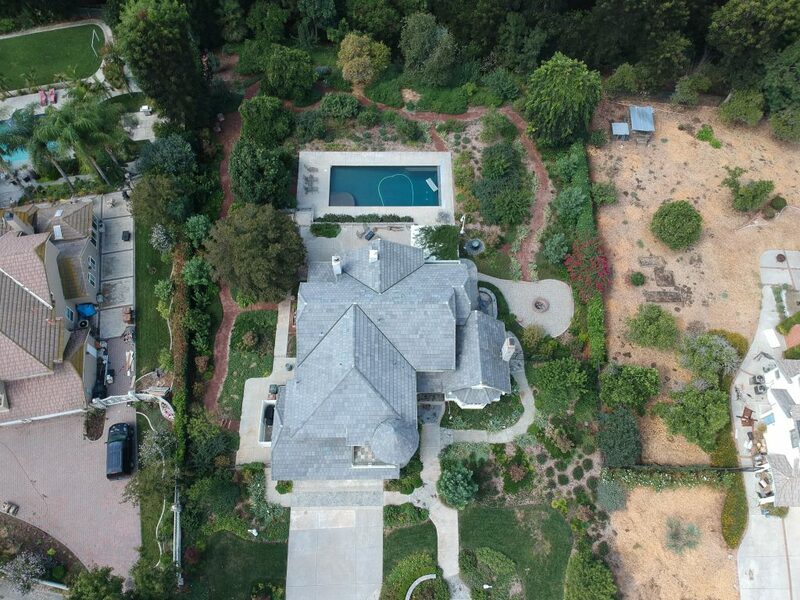 Large driveway for extra parking and potential RV parking. 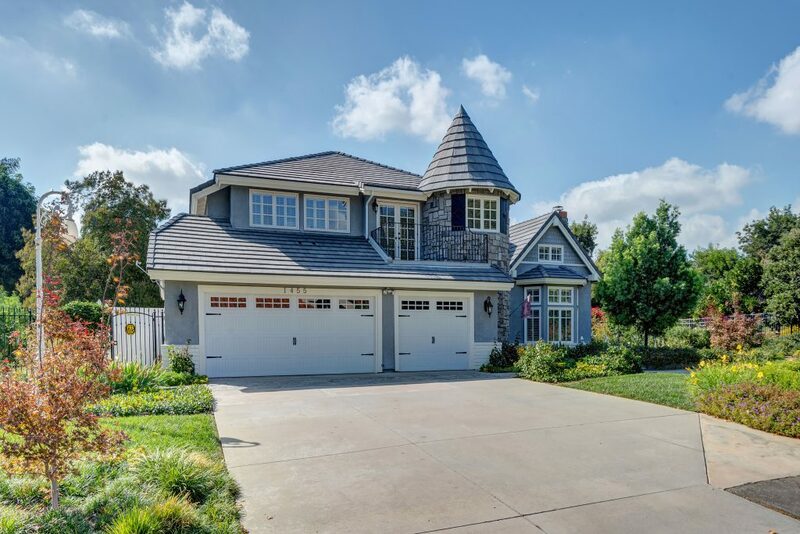 3 car garage with direct access to house. 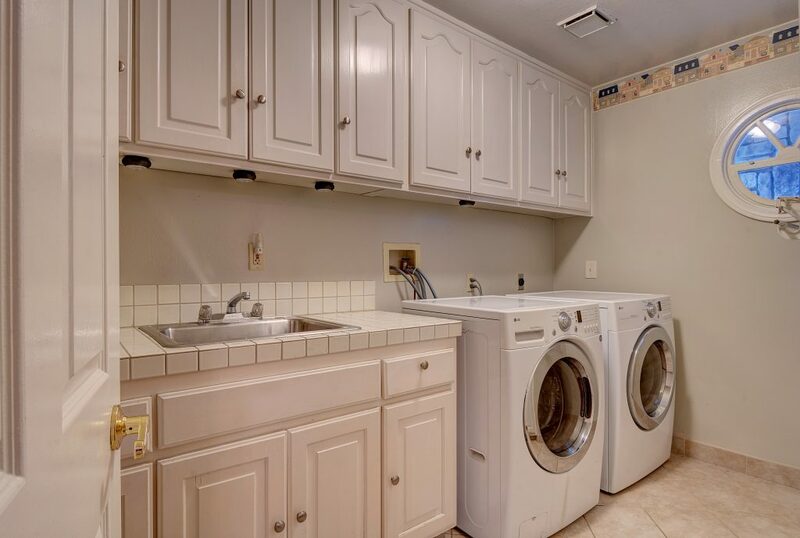 Inside laundry room. 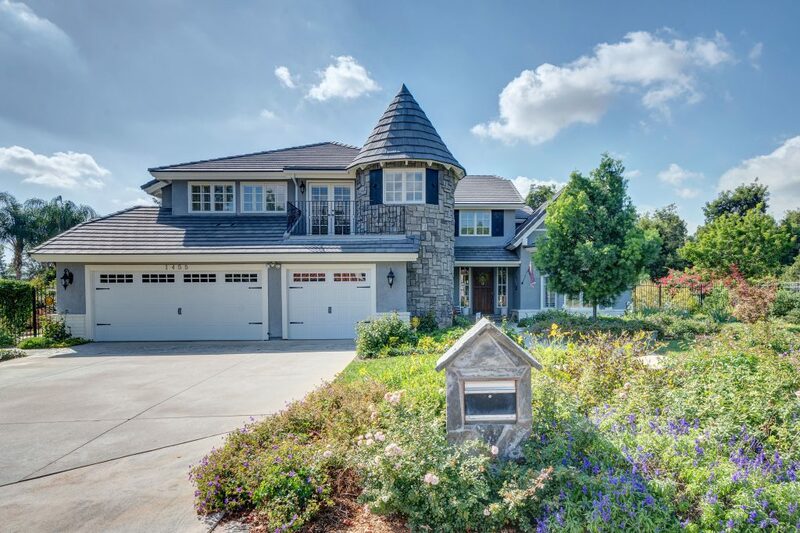 This home is a must see!